From aerospace and agricultural to environmental and electrical, there are few career paths that touch as many industries as that of engineering. This explains why the field has already increased by 1.1% or 28,000 engineering workers since 2016, according to TechServe Alliance. 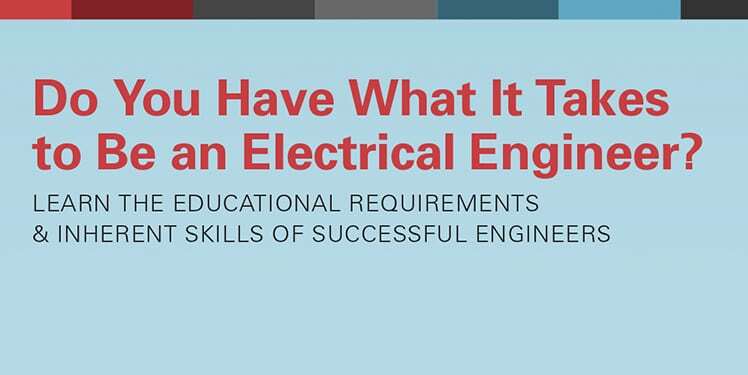 At Fredericks, we strive to maintain top talent when it comes to electrical engineering. In fact, part of our mission is to promote the ongoing education and skills-fostering that we believe molds the adept engineering talent that we employ. We are often asked: “Besides a general interest in innovation and problem-solving, what else does it take to be a successful engineer?” As a result, we developed the below infographic outlining the traits and skillsets required of successful electrical engineers. Take a look and gauge your potential success in science and engineering (S&E) and if you want to know more, check out our in-depth profile of Darren Weinhold, our very own Vacuum Scientist. Please include attribution to FredericksCompany.com with this graphic.